Lojain Omran and Alaa Balkhy represented Saudi in the best way possible while attending the show with a carnival-like atmosphere. Dior’s first show in Dubai was certainly a coup for the emirate, which is cementing its place on the world’s fashion map. 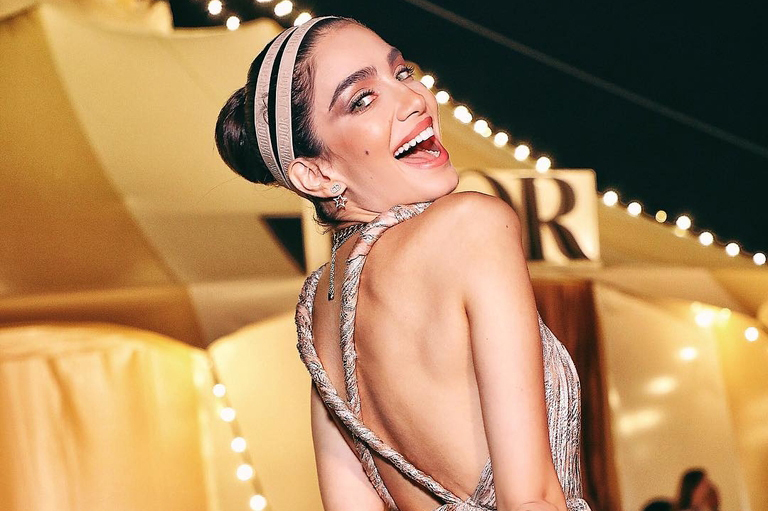 And the insanely chic and glamorously dressed social media influencers, editors, brand ambassadors and celebrities who turned up to the circus-themed extravaganza in Safa Park certainly didn’t disappoint when it came to giving the region’s fashion scene an even further boost. A host of the region’s A-listers were spotted sitting front row to see the maison’s flamboyant spring-summer 2019 collection, which was first unveiled in Paris during January’s Haute Couture shows. However, it was undoubtedly the 15-piece capsule collection created especially for the region that influencers like Karen Wazen Bakhazi, who took over Dior’s Instagram stories, Leena Al Ghouti and Nathalie Fanj were most excited about. After Italian designer Maria Grazia Chiuri took her bow, regional fashion industry heavyweights like Fyunka’s Alaa Balkhy and The Modist Founder Ghizlan Guenez mingled with journalists and celebrities like Diala Makki (with the cutest dog), Meryem Uzerlimeryem, Annabella Hilal and Lojain Omran.